Open CIT is the attestation solution. Open CIT provides features and capabilities in its entirety, as was made available in the Premium version, including support for ESX and Citrix*-Xen*, KVM on Ubuntu* and Red Hat* Enterprise Linux* (RHEL*) in addition to Hyper-V on Windows* Server. 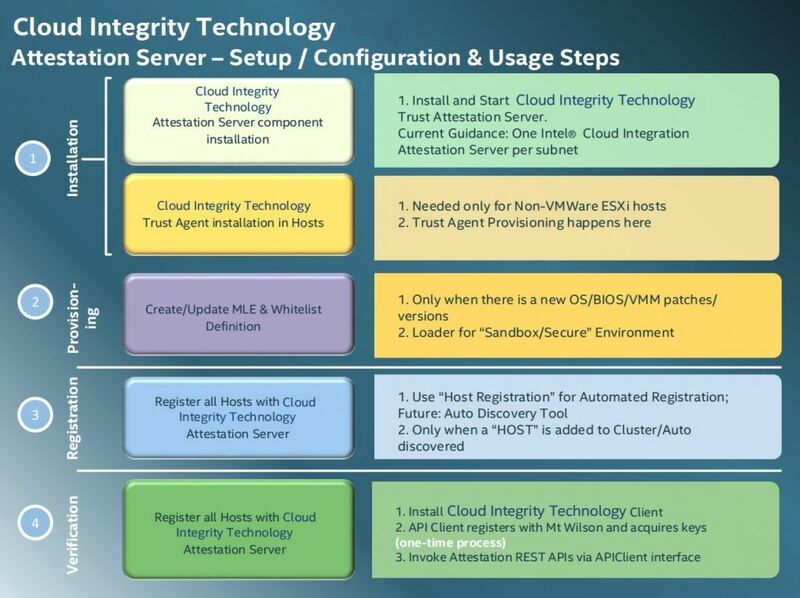 Open CIT provides ‘Trust’ visibility of the cloud infrastructure and enables compliance in cloud datacenters. The solution leverages Intel processors with Intel® Trusted Execution Technology (Intel® TXT) to establish HW root of trust and builds the chain of trust across hardware, OS, hypervisor, vm and Docker* container and including asset tagging for ocation and boundary control. The platform trust and asset tag attestation information is used by Orchestrators and/or Policy Compliance management to ensure workloads are launched on trusted and location/boundary compliant platforms. They provide the needed visibility and auditability of your infrastructure in both public and private cloud environments. Open CIT 3.2.1 has been released, see the Product Guide and Deployment Guide for more information or download the code from here. Open CIT 3.2.1 added support to compile with Java* 8 instead of Java 7. See the announcement here. Made necessary changes to support compiling with Java 8 instead of Java 7. Resolved an issue with the build process that required a workaround, and updated build instructions accordingly. Updated the OpenStack integration patch for improved security. If you want to see release notes from previous releases, click here. Intel is the leading contributor and solo maintainer. 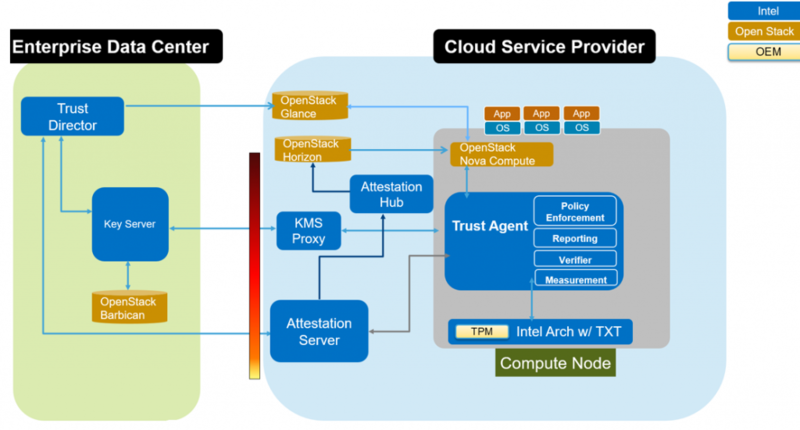 Open CIT leverages Intel processors with Intel® Trusted Execution Technology (Intel® TXT) to provide the attestation solution that can be used in private and public clouds.